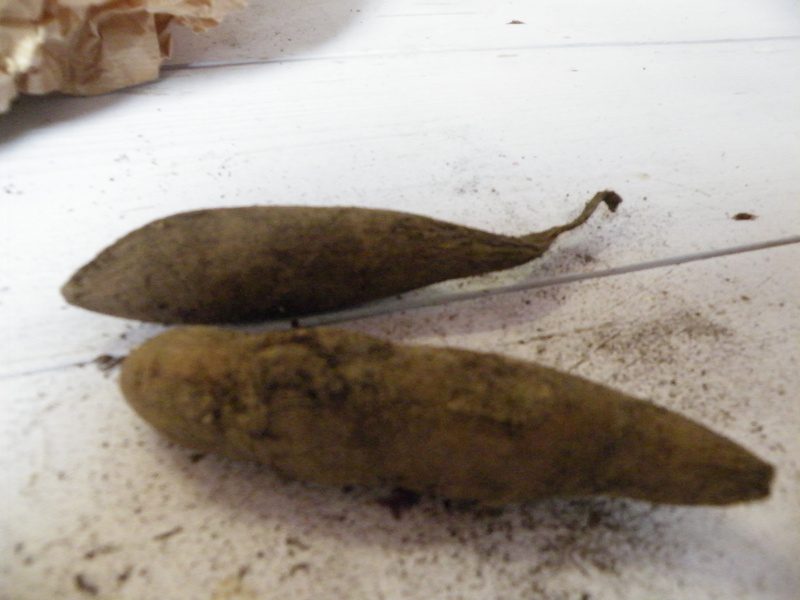 ‘Yacon’ or ‘Smallanthus sonchifolius’,this is a root vegetable that has been domesticated by the indigenous peoples of the Andes, so they originate in South America. 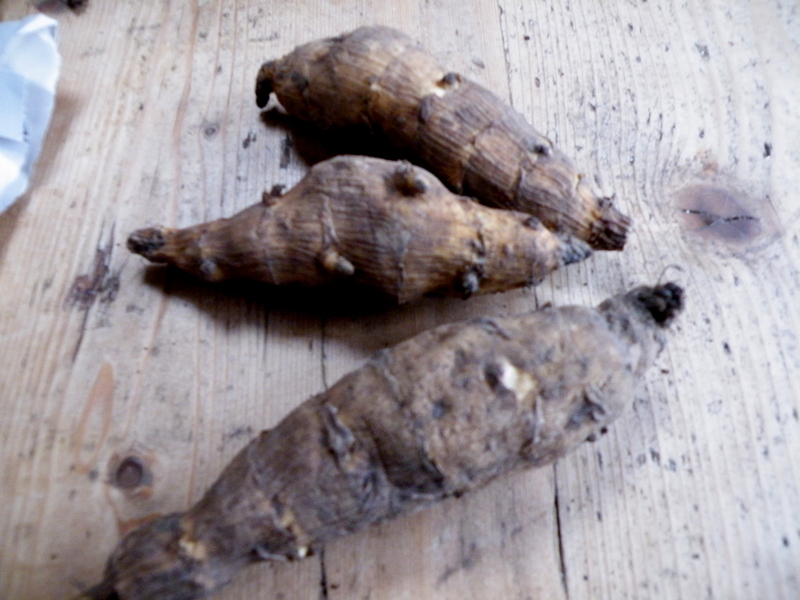 Yacon is a member of the sunflower family, so it has small yellow flowers, and — like its cousins, dahlias and Jerusalem artichokes — it develops huge tubers. I Googled them and found out a few things about them, first and foremost how to grow them, as I am not going to cook these few I bought, only sprout them for growing. The plants are very easy to grow and seem to thrive in almost any soil or climate. So you have to put them in small pots with slightly damp compost. They will make roots and once they are a bit bigger, after all danger of frost is past – you can plant them out in the garden. The foliage and leaves become very large, I better only grow one or two, anyway I am growing them as an experiment, not even sure if they are tasty as I never did taste them. These roots are supposed to be useful in blood sugar management, liver health, and in helping with health of the colon. I’m sure excited to see how they will do in my garden. As they take 6 to 7 months before you can harvest, and some years before they are really well established, it will be a long-term experiment. This reminds me of once I bought a Taro root in the supermarket, as a vegetable, but when I came home I decided to plant it instead of cook it, it became a large indoor plant, (Colocasia esculenta), quite interesting, but it died when I left it with friend when I went travelling, I have not seen another Taro root since in the shops. 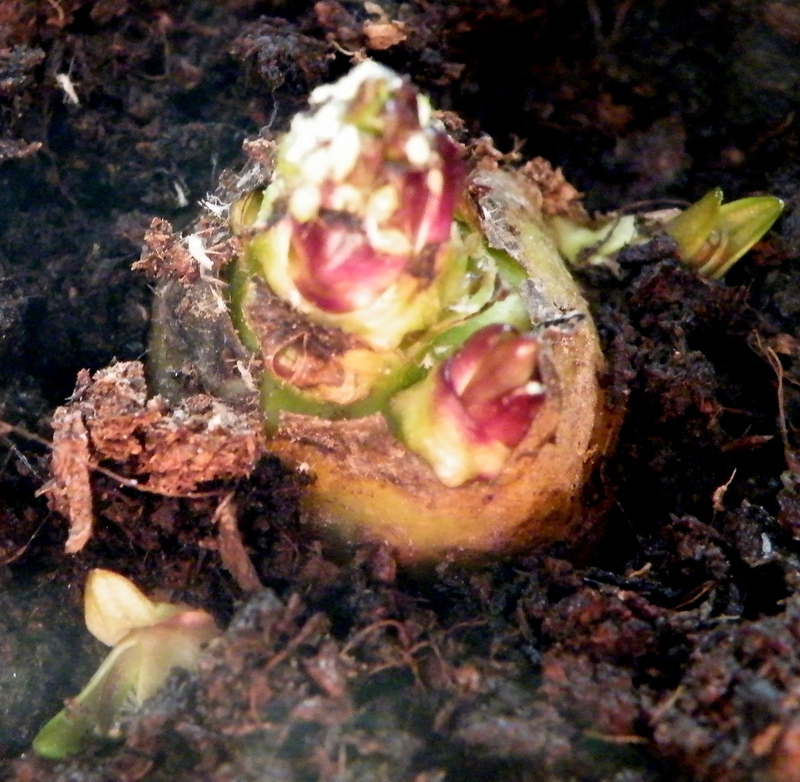 Jerusalem Artichokes – some sprouting, and some just bought and ready to sprout. My Bitter Gourd seeds arrived from India thanks to my dear friends over there. 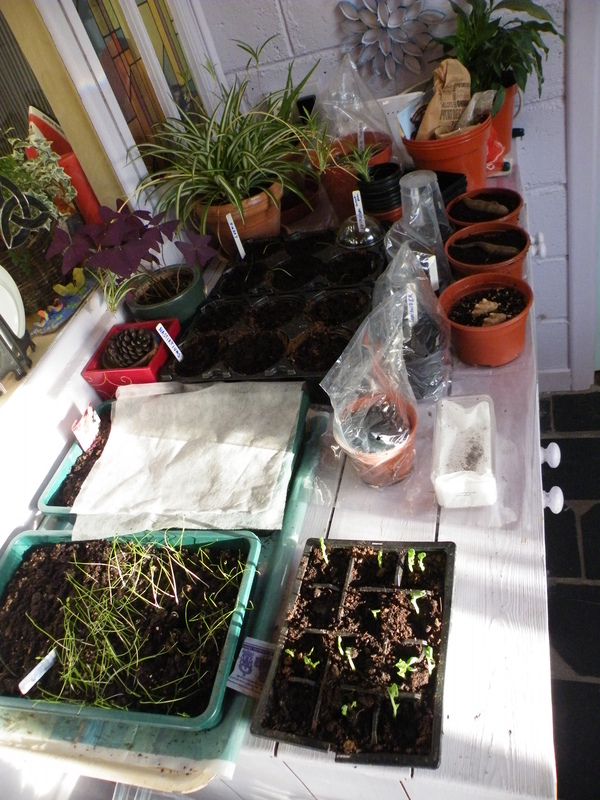 And some of the peas sprouting already, and leeks ready to pick out in larger pots. 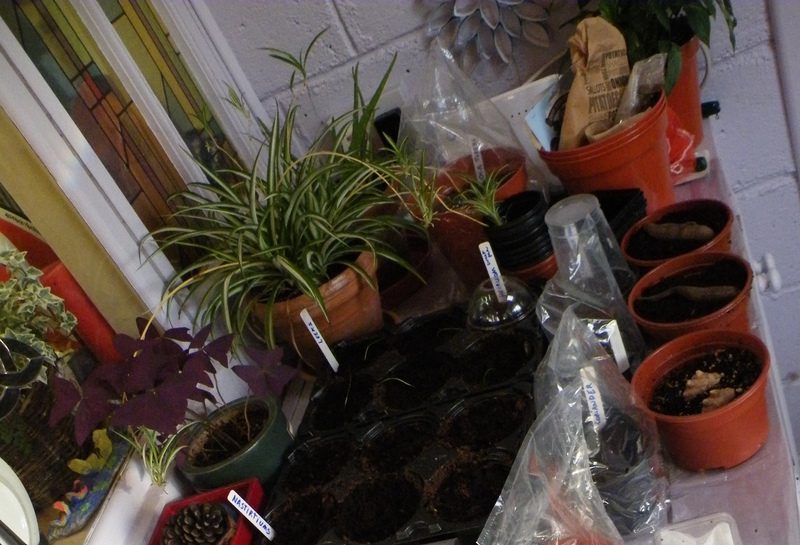 More seeds sown, Ginger sprouting finally, Turmeric too. And Holly Basil sown under an inside glass house. 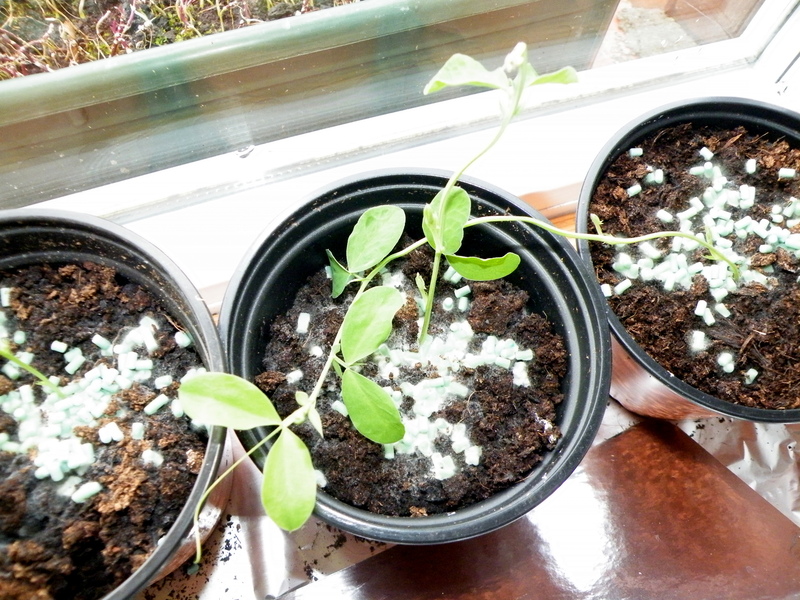 My Sweet pea seedlings had to be protected from slugs, who knows where they came from, inside the conservatory and all. 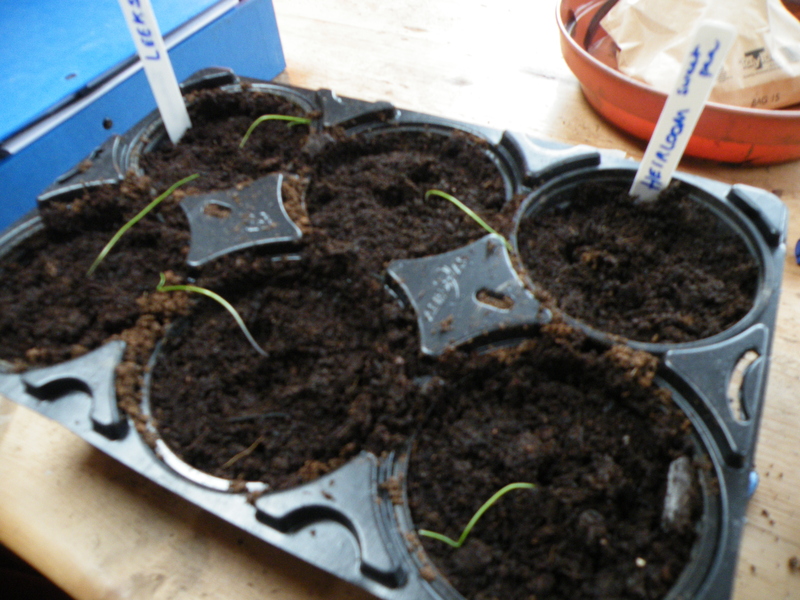 And Leek seedling after being pricked out. How exciting! I love seeing your unique plants. 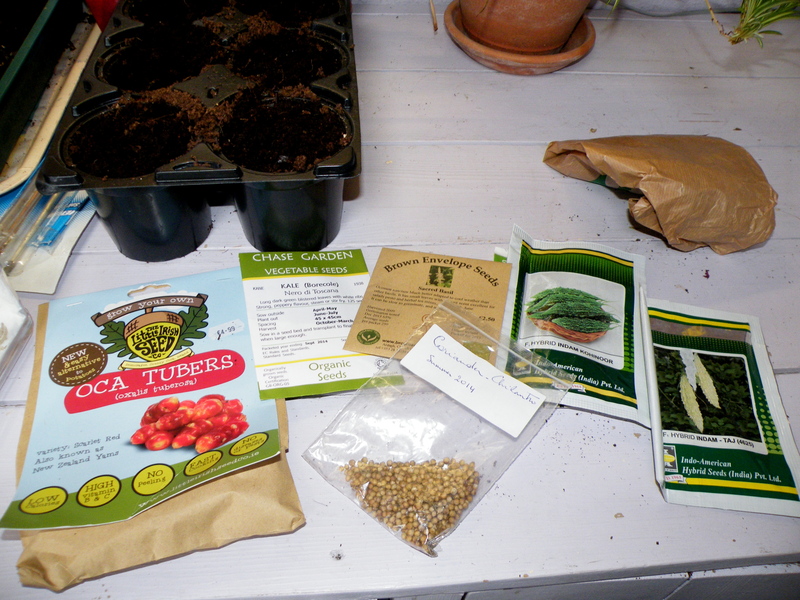 I’m hoping to grow my first ginger plant this year (it’s on its way from the garden store) but tumeric and yacon look really interesting too. Love your gardenwork.Last year i plant something after a few month it became a eggplant and after blooming he has giving me 6 eggs.